Home / Blog / Articles / Do you know your 10 most important keywords? After 20 years as an ad & marketing guy, I’ve found that most businesses know their business and have an established set of words & descriptions. 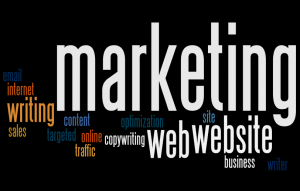 But too often many simply don’t always know or understand their online marketing lexicon. And by that I mean the words prospects are searching online to solve their problems. When you think of the web search queries, try to think of Google or Bing or YouTube as being an enormous help desk — or better yet a concierge. A smart, efficient helper directing you to a solution. So make sure your words and search meanings line up. In other words, speak your prospect’s language. You may think you are selling home heating systems 22K searches per month when furnace gets 5 million searches. If you sell dog accessories 110K searches per month, consider emphasizing hot items like dog bed 450K and dog collars 673K searches per month. You may be a cosmetic dentist 368K but you’d best be using teeth bleaching 1 million monthly searches as one of your 10 words. I know this exercise may seem overly simplistic, but these 10 words are the foundational logic of your business online. And finding the right words is really a process of relation. By that, I mean you should first nail down the core 4-5 words you know are critical and then branch out for more related terms or phrases. Confirm your 10 words and load them into your web marketing efforts. Share with your internal and external teams so you can be speaking the same language across your content and digital marketing efforts. Your 10 words need to live well on your website as SEO magnets. But they also need to be sprinkled into all your online effort like your blog, press releases, articles, white papers, case studies and your social media. 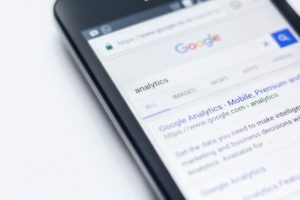 Remember, YouTube is the #2 search engine, so it’s important to be there with the words that connect with your prospects. As an established business you may already have a pretty good grasp of your 10 words. But it’s important to examine and even re-examine these from time to time. I believe trends, new business demands, and changes in your industry can continually influence your 10 words. For starters try this cool Visual Thesaurus tool from Think Map to start determining the different words that relate to your business. This Gantt-Style mapping tool lines up related words in a diagram. The movement and motion of this online tool is quite addictive! Using these related words will help you determine a wide range of terms for your business. Next, take that big bunch of related words and see what they are really worth. Try plugging them into KeyWord Spy. This is a neat tool much like Google Adwords. You can use their basic plan for free to get started. I like the simplicity and insights it provides. You get tables that display the searches per month and the cost per click for online advertising. So it’s a real demand /cost analysis of keywords that are being used. And it can be quite revealing. So go explore with these resources, discover your 10 words and embrace SEO with confidence. Want to discover your 10 words to use in the fastest way possible?